Frette is an Italian textile company known for its luxury linens. It was established in 1860 in Grenoble France but relocated to Italy in 1865. 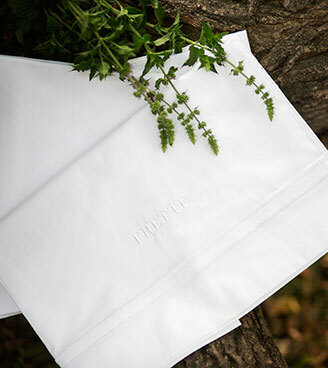 Shades of Sleep is pleased to carry the following sheets from Frette. Hotel Classic: Inspired by Frette in the top hotel’s in the world, our hotel classic is crisp, fine and elegant Egyptian cotton percale with two-line embroidery around the border. Charme: Sumptuous, soft cotton sateen with a pattern of alternating thin jacquard stripes. Single Adjour: Cotton sateen with a delicate hemstitch around the border. Doppio: Smooth cotton sateen with double hemstitched border. Tre Bourdon: Opulent, 100% Egyptian cotton poplin with three-line embroidery.